It has been scientifically calculated that there are as many variations of the Whiskey Sour as Nyan Cat videos. 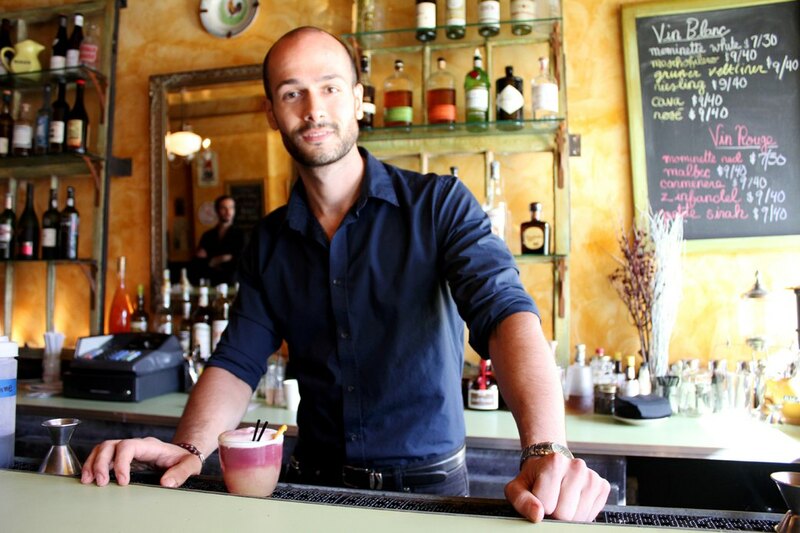 Whiskey Sour is one of those classic drinks that is constantly being tweaked, remixed, or re-appropriated. The simple backbone of whiskey, lemon and syrup leaves a lot of room for bartenders to add their creative spin and make a fresh version of a classic cocktail. 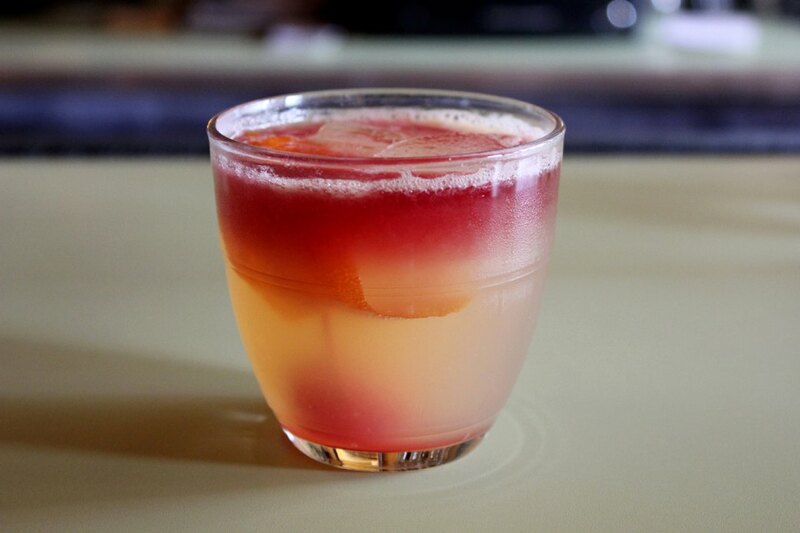 Mominette offers us the Bushwick Sour, with a foundation of grapefruit juice and lemon juice, topped with Pinot Noir. I have to confess that I was quite wary at first. I am not a whiskey drinker, nor do I believe that mixing wine with liquor is a good idea. Once I tasted it, I changed my tune. The Pinot Noir, with its bloody appearance at the top of the glass, reminds you of all the wine you've imbibed at gallery openings. It is the beginning of the night. Then comes the whiskey, with its ghostly presence, always ready to sneak up on you, like every Friday or Saturday night's adventures. The mixture of grapefruit and lemon juice provide a familiar background, just like a smoothie from Mr. Kiwi's always does, no matter the adventure, no matter the amount of wine consumed at that gallery opening. The Bushwick Sour was originally conceived as a summer drink, but it proved so popular that Mominette decided to keep it in the rotation. Fred, who was tending the bar, explained that it's the freshness of the ingredients used for the cocktail that makes a difference. "These are not lazy ingredients," he said. Sip by sip the Bushwick Sour grew on me, the same way Bushwick has been growing on me for the past year. 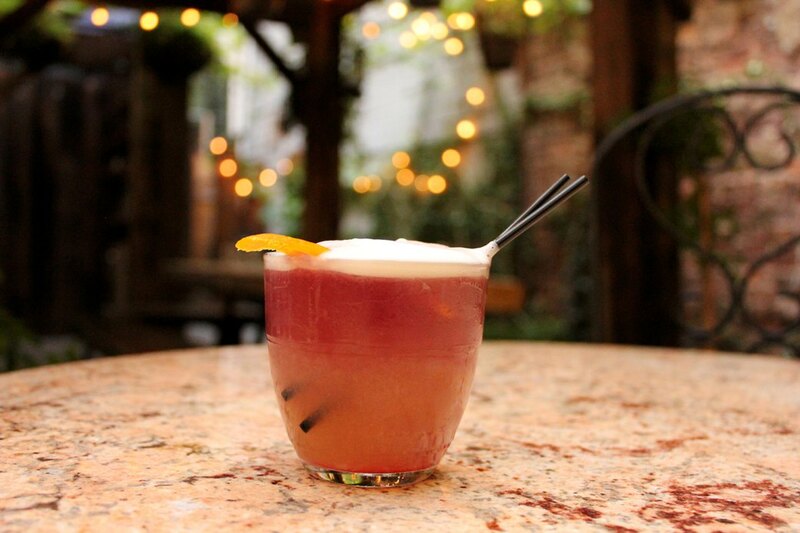 Like every weekend in Bushwick, the Bushwick Sour is a drink that you need to savor to the last sip.